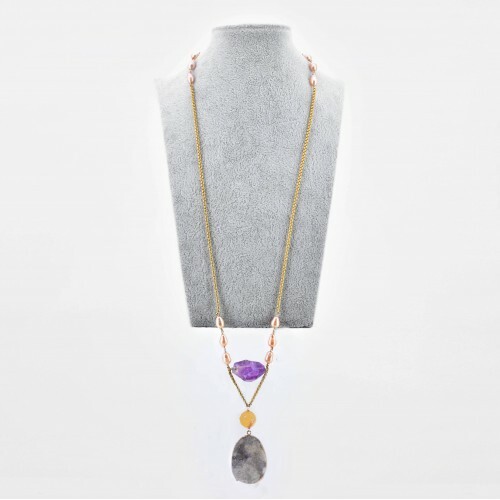 A must-have accessory to every woman's wardrobe, our gold filled chain necklaces accented always with gemstones instantly adds glamour to even the most basic outfit, from your T-shirt to your evening dress. 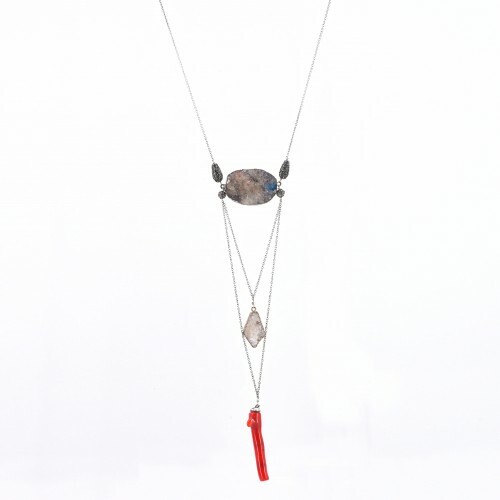 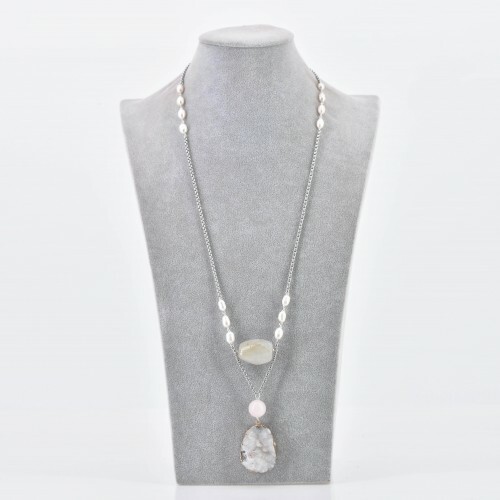 Available in pearls, corals and many times a mix of gemstones like onyx, amethyst and other stones. 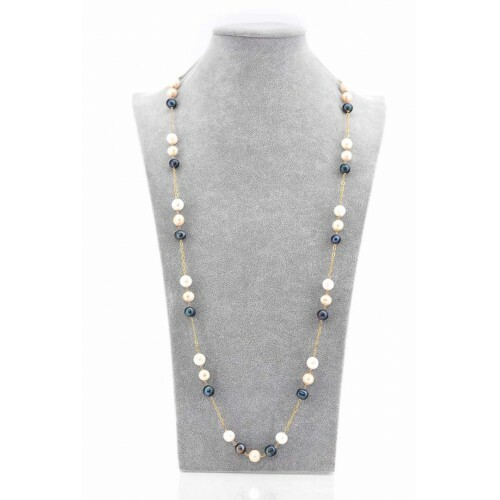 3 TONE FRESH WATER PEARL WITH GOLD FILED CHAIN NECKLACE ..
BAROQUE NECKLACE IS A MIX OF PEARL AND AGATE & GOLD FILED CHAIN NECKLACE .. 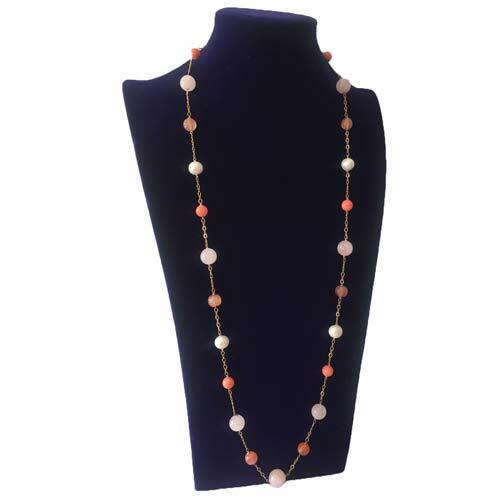 MIX OF PEARL AND AGATE WITH GOLD FILED CHAIN .. 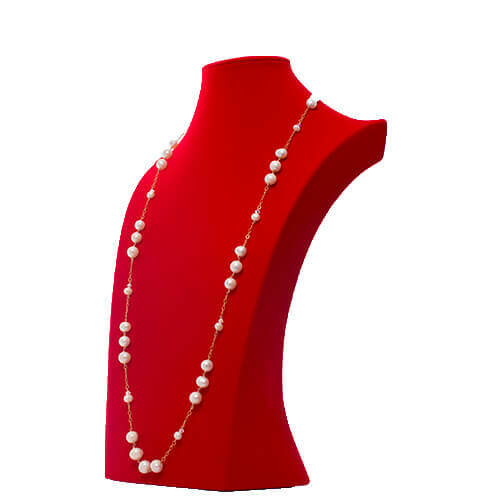 DRAMATIC FOCAL STAINLESS STEEL CHAIN NECKLACE WITH CORAL DROPS..
MIXED OF FRESH WATER PEARL AND GEMSTONES ..